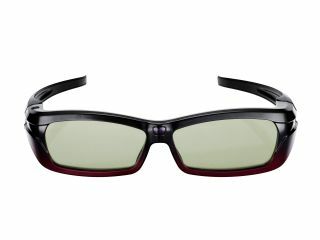 Stu Lipoff, from the IEEE Consumer Electronics Society Standards Committee, has told TechRadar that he doesn't think that 3D glasses will turn people off 3D, despite a recent study which noted that 70 per cent of Japanese consumers weren't happy watching 3D this way. Currently, 3D without glasses is still some way from coming to the home, despite autostereoscopic technology being used sparingly in display advertising. Using glasses to view 3D content, however, won't be something that will discourage consumers, says Lipoff, explaining: "Developing autostereocopic technology [for the home] isn't needed. "Glasses aren't a killer when it comes to 3D – if it's worthwhile you will put them on." Lipoff has a vast amount of experience with 3D, consulting with the IEEE on how the technology can be pushed through existing TV infrastucture, and he believes that it will be the quality of content on offer which will drive 3D sales, even though there's still some way to go until filmmakers get 3D right. "The thing about Avatar is that it was designed to be a great 2D experience but Cameron knew it would be 3D from the front," says Lipoff. "Part of this is that the filmmakers are still learning. Like if you shoot a couple of objects in the same plain, you need rich backgrounds, with some things in front and behind... we are going to see the production side of it get better, for sporting events, cinema, movies and even for ordinary things shot in 3D." Lipoff notes that cinema's foray into 3D is the same as when it first went into colour. "The first colour programmes shown were over stylised," he notes. "It was when they made the colour more natural you no longer thought it was cartoonish, it was muted. "You will see the same thing with 3D when it becomes much less of a gimmick, and Avatar shows that."